Discover all you can achieve with Kompyte's robust Reporting. 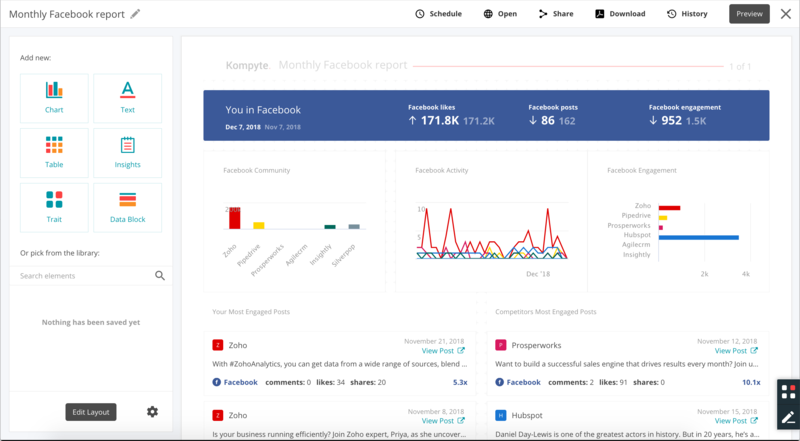 Kompyte allows your team to easily create, schedule, share and download comprehensive reports on your competitor's intelligence, landscape, marketing performance and additional intel gathered from Kompyte or other third party tools. 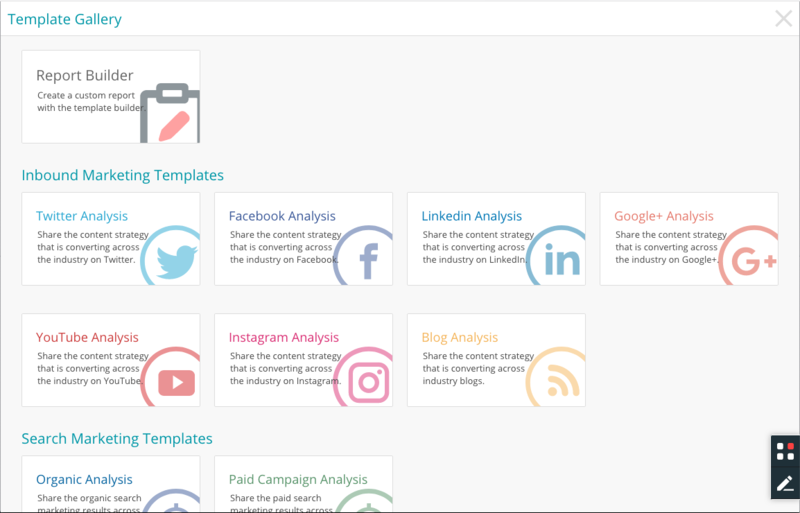 Run reports from our vast template gallery or easily build ad hoc reports from scratch. Open: use it for your presentations. Share: to share it through any integration. Download: to get a PDF version of your report. History: access every PDF version of your report. Add tables, charts, free text, data blocks, insights or traits. Add previously saved resources from the Library. 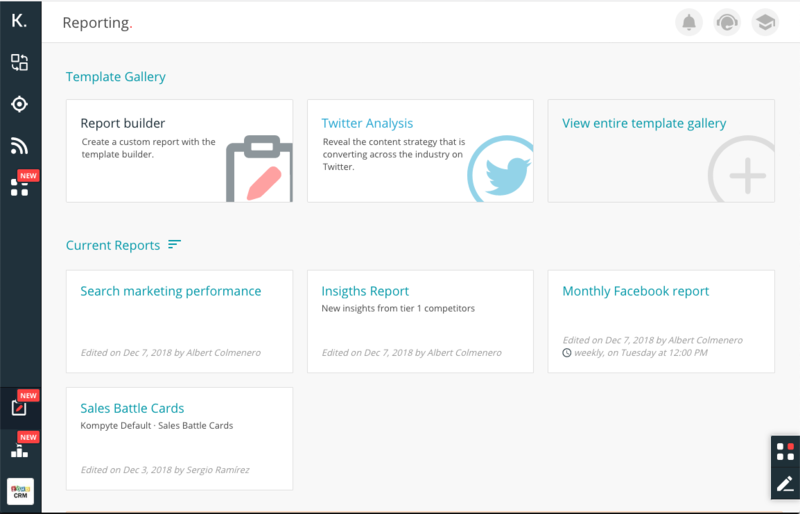 Manage the report layout to manage pages and sections. Edit the report settings: text size, orientation, branded reports and more. Move, Duplicate, remove, ... any report.